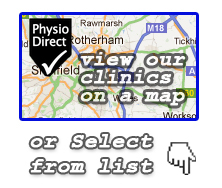 Welcome back to another PhysioDirect blog. This month I want to fight the corner for physiotherapy, and put forward my argument for why I think it’s so damn important. The reason for this article comes after a recent conversation I had with a personal trainer I know called Tom. The story Tom told me involved his girlfriend, who had competed at a decent standard in sport, and sustained a knee injury not too long ago. It was interesting hearing how someone in his line of work (with a good knowledge of anatomy, human movement and appropriate loading) viewed things from an outside perspective. After some difficulty getting an appointment with her GP, the initial advice Tom’s girlfriend received was to “rest the knee and come back in a few weeks if it hadn’t settled”. With no change and several return visits in which different painkillers were prescribed, she was finally referred to see a physiotherapist. The session involved an assessment and some exercises consisting of stretches and squeezing the knee straight when lying on her bed. Tom’s girlfriend was then given another appointment, booked for a months time. Where does.. or CAN physiotherapy have the edge? Tom expressed his frustration around this lengthy journey with very little improvement, as someone who works with fit and healthy people every day, and knows how much progress people are capable of making in a relatively short space of time, the prolonged period of rest and long gap between appointments seemed slightly absurd. Tom felt compelled to try and help her out a bit more. Taking some initiative and adding a few more challenging strengthening exercises, things finally started to improve. Assessment – Our assessment methods should be second to none. When asking questions, we aim to cover all aspects of peoples lives leaving no stone unturned, delving into all factors that might have contributed to, or influence an injury. When it comes to the physical side of assessment we should also be at the top of the game. Using the knee as an example, the physical tests we can perform should be on par with Orthopaedic Consultants, and much more proficient than that of your average GP. Being able to tell when something is serious or not can mean we don’t waste time being too cautious, but also make sure someone gets the right medical treatment if they need it. Knowledge of anatomy, injuries and pain – A good portion of our university study is dedicated to learning the underlying anatomy and physiology. Our knowledge of different injuries alongside the healing processes should also be top notch. Put that together with all the information we gain from our assessment about the factors that can affect recovery, and it means we can more accurately pitch any rehabilitation program at the right level. Physiotherapy researchers are also currently leading the way when it comes to pain science. Understanding how pain can become more complex over time can also be an important thing not to miss when helping someone. Knowledge of treatment – We have a large variety of treatment options at our fingertips. We are also whats called an ‘evidence based profession’ which means we try to make sure our treatments are based on quality scientific research, with the aim of delivering the most effective form of treatment in any given situation. The current physio leaders in the science world do however tell us it’s not a ‘one size fits all’ approach, and we need to be able to use our reasoning, the information from the assessment, and consider things like the personality of the person in front of us to tailor our treatments individually. Knowledge of appropriate loading – this is an area that was perhaps lacking in Tom’s girlfriends story, but as physio’s we should have the experience to know exactly how much or little to ask of someone to ensure that they make progress. This sometimes means pushing some people a bit more than others! Our status in the medical world – Physiotherapists set themselves apart from professions such as Osteopaths and Chiropractors by being part of the ‘Health & Care Professions Council’ (or HCPC for short) which strives to deliver the best standards in care in keeping with the above mentioned ‘evidence based practice’ approach to treatment. The elders of the physio profession also campaigned for the right to be ‘autonomous practitioners’, meaning we can work as independent medical practitioners within our specific area . This has lead on to us gaining the ability to train to prescribe some medications and deliver injections, expanding further the list of treatment options at our fingertips. So there are a few points on why I think physiotherapy is so great. I think it should be said that nothing was terribly wrong with any of the treatment Tom’s girlfriend was given (either by the GP or the Physio), but it goes to show how something as simple as not getting things started quickly enough, doing things that are too easy and having too longer gap between treatments can leave someone dissatisfied. On another note, the story Tom told me made me feel quite fortunate to be working in private practice. The private world is not restricted by limited session numbers, months long waiting lists and 20 minute appointments. 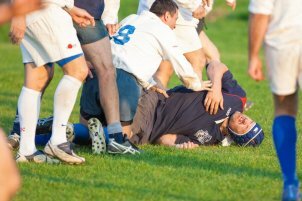 If someone sustains an injury they can ring up and usually get an appointment the same day. Early physiotherapy intervention with most injuries will only help to get someone better quicker. If someone needs a couple of sessions a week because they need more guidance, one-on-one rehab sessions or small changes to progress their exercises more quickly, or even just more pain relief from hands on treatment? Not a problem. After mulling things over I’m very proud to be part of the physiotherapy profession, and I do believe that when it’s done well, physiotherapy should be the go-to choice for anyone with an injury. If you want to find out more or book an appointment, call us on 0115 956 2353.